THE LATEST FROM GSI IN SKYBOX OFFERINGS AURORA INDICA! Available in high and low res versions. Comes with matching visor reflection - you will need to adjust the reflection settings in TextureReplacer to get the full benifit of this one. 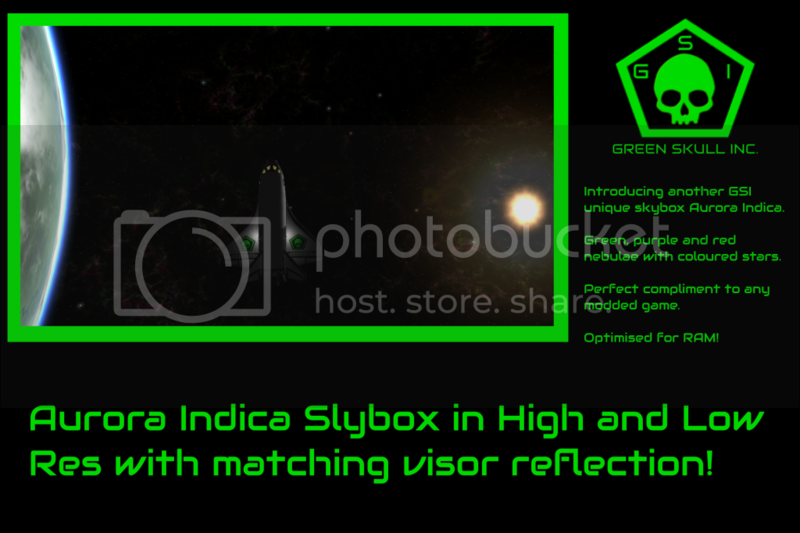 GSI Aurora Indica Skybox High Res 4096x4096 - MediaFire Download. 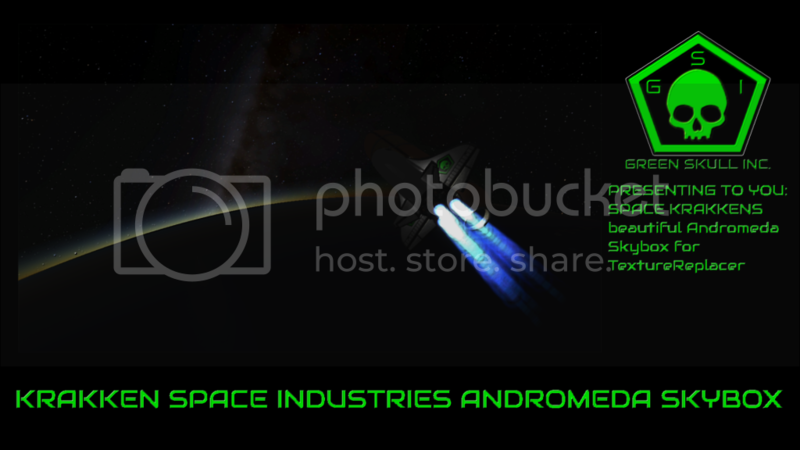 GSI Aurora Indica Skybox Low Res 2048x2048 - MediaFire Download. INTRODUCING THE FIRST ORIGINAL SKYBOX BY GREEN SKULL INC. I love skybox textures but most of the ones out there are RAM crunching beasts. I'm on a mission to provide good quality low RAM use skybox textures. First off the production line is Purple Haze! Available in high and low res versions I aim to provide something for everyone. Comes with matching visor reflection too! 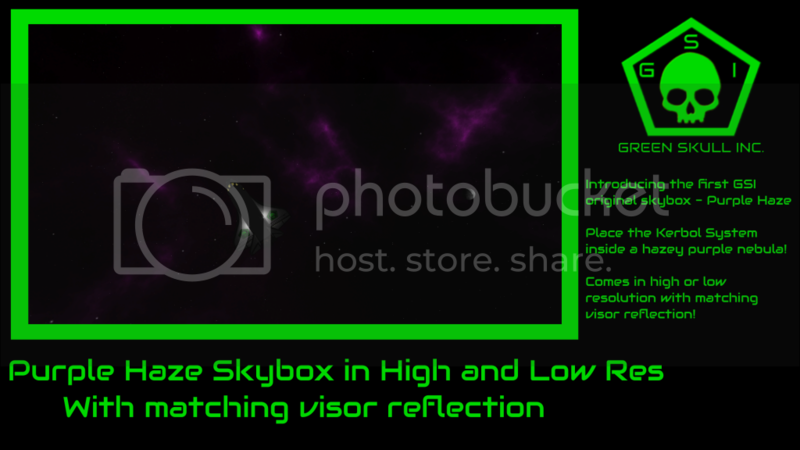 GSI Purple Haze Skybox High Res 4096x4096 - MediaFire Download. GSI Purple Haze Skybox Low Res 2048x2048 - MediaFire Download. 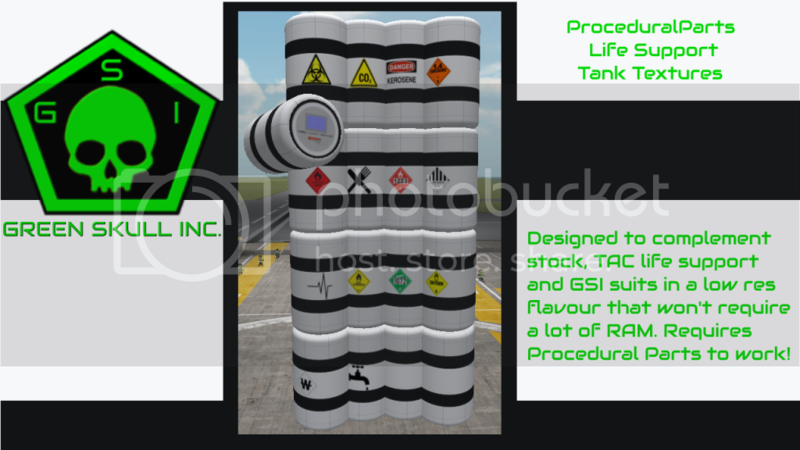 Spotting a gap in the current market for Procedural Parts textures GSI brings to you a low res life support texture pack for ProceduralParts. Themed for small diameter tanks to compliment stock parts, TAC life support standard parts and Green Skull Spacesuits these low res textures won't melt your MAC or ramp up your RAM (too much). DOWNLOAD HERE Green skull Inc PP Life Support MediaFire Download. Space Kraken sent me a gorgeous skybox of the Andromeda galaxy. Naturally I had to mess with it and after compression the stars in the sky appear to twinkle! PLEASE NOTE THIS IS ON MY SYSTEM WITH MY SETTINGS SO TWINKLING MAY VARY. This is a high res texture and uses a lot of RAM BUT it's worth it! MORE PACKS TO FOLLOW SOON!!! I'm not a poor student looking for beer money, I'm self employed and paying my way in the world. There are a couple of pieces of equipment I could use but can't afford. They would help make this mod even better! Donate here. I may be completely ******, but all I can find is the procedural parts link, the other mod resource has no file to download, just the supported stuff. As said I may really be stupid. As a side note, you could link directly to the files in question and save us the hassle of translating your crap or someone elses. All the links work for me... 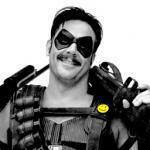 I will only ever link to another mod's main page not download link. I did however edit my post to point to my download clearer. Got it to work, not the most intuitive design but works. Great textures as usual, loving your suits and all. Much clearer with your last edit. Cleaned up original post to clarify required mods. These are a nice addition to the PP mod, but can you upload a higher resolution pack? Low resolution is nice if you don't use half-res textures, but if you use half-res textures and active texture management... well, it looks really bad. That worked pretty well. You may want to consider rolling that into your release so that it's automatic. I have noticed that the tops and bottoms of tanks are still really fuzzy. That said, some higher res textures would still be nice, since they're slightly grainy once they're blown up to cover large (2.5m+) diameter tanks, and even with ATM off, at half-resolution they're still very grainy. Kraken Space Industries Andromeda Skybox is finally released! Yay! Btw it's Kraken Space Industries not Krakken Space Industries. That was a typo in on of my earlier posts that's appeared to have stuck around. It looks like this is the compressed version, nice. Huge reductions compared to version I'm currently running! Though I noticed they're PNG and not TGA. Not sure if that's an issue, but wanted to point it out. Not really an issue, but Targa files (TGA) load faster in Unity than png's. No idea why. Finally some nice & procedural models for TAC LS, thank you sir ! And Questioning time: I put your Service Module LS container under the MK1 Pod.. similar the size of an heatshield... and this plate already provides Kermans with 42 days of Life Support, seems a bit overpowered to me, compared to the one day that the pod is providing. Did i something wrong or is that nominal with default settings TAC.. (i always used eclss before)? A note to myself: You need to use that skybox... looks amazing! The amount of resources is defined by the procedural parts mods not the textures I made. You can all ways right click the tank and reduce the amount of resources that you take to reduce weight. Just released the Green Skull Inc original design Purple Haze Skybox! 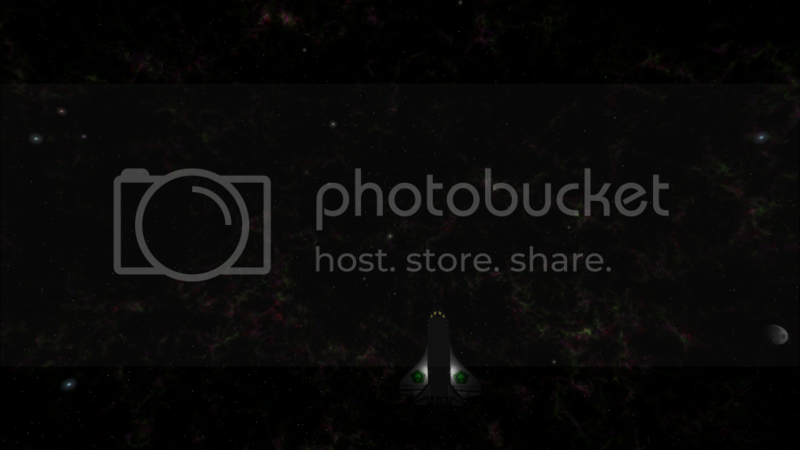 And the latest skybox Aurora Indica. The pictures don't really do these justice! The stars twinkle!!! Ohhh that Purple Haze skybox looks nice! I really love your textures, i appreciate the work you put in it! Oh i thought there was a config in the zip, sry my fault... well i gues i have to play around with some tac values, but thank you! That one looks especially nice Might finally convince me to get TextureReplacer. 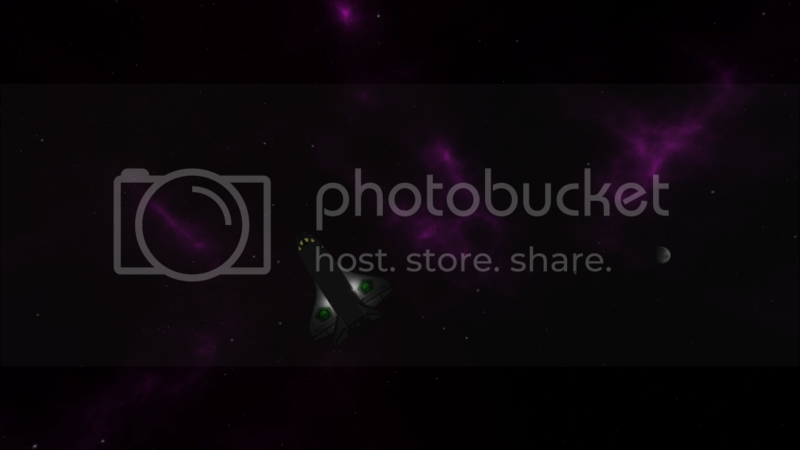 How did you get the sky box from space engine? I have been trying figure it out but just couldn't find out how people do it.